Tue, 03/28/2017 - 11:09 This award, from the Microscopy Society of America (MSA), represents a major recognition by the winner’s colleagues. Thu, 03/23/2017 - 03:17 Two assistant professors in materials science and engineering recently received NSF CAREER awards for new research. Mon, 03/13/2017 - 10:45 With guidance from the MRL and other scientists and engineers across campus, these young students built—and broke—bridges. Thu, 03/09/2017 - 05:15 Big, energy-saving changes with big benefits are happening within MRL. Fri, 02/24/2017 - 05:08 Professor Prashant Jain's research group found that ultrasmall nanoclusters could help next-gen lithium ion batteries. Mon, 02/13/2017 - 09:59 Pinshane Huang is inspiring the next generation of scientists through the Museum of Science and Industry in Manchester. Mon, 02/13/2017 - 05:27 Cellphones and other devices could soon be controlled with touchless gestures and charge themselves using ambient light. Fri, 02/10/2017 - 09:17 Congratulations to Jennifer Lewis, former MRL Director, for being elected to the NAE February 8, 2017. Fri, 02/03/2017 - 09:13 A new Nanoscribe 3D laser lithography system has recently been added to the MRL Central Research Facilities. Thu, 01/19/2017 - 07:51 IEEE has elevated Professor Xiuling Li to the status of IEEE Fellow for her contributions to semiconductor nanomaterials. Wed, 01/11/2017 - 03:05 Faculty and MechSE Assistant Professor Randy Ewoldt was one of 102 scientists and researchers recognized by President Obama. Mon, 12/12/2016 - 04:39 Professor Braun was recently featured in the News-Gazette's weekly technology spotlight. AVS Recognition for Excellence in Leadership Presented to Mauro Sardela, Jr.
Tue, 09/06/2016 - 03:26 AVS recognizes individuals who excel in science, but also through mentoring, have enhanced the careers of future generations. Wed, 08/24/2016 - 04:06 Chen awarded UK RAEng Distinguished Fellowship to conduct research at the BP International Centre for Advanced Materials. Mon, 06/06/2016 - 05:58 Paul V. Braun, the Racheff Professor in the MatSE, has been selected as Director of MRL. 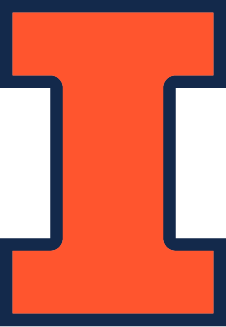 Tue, 01/05/2016 - 18:00 Five individuals have been identified by members of the campus community as honorees with University of Illinois ties.